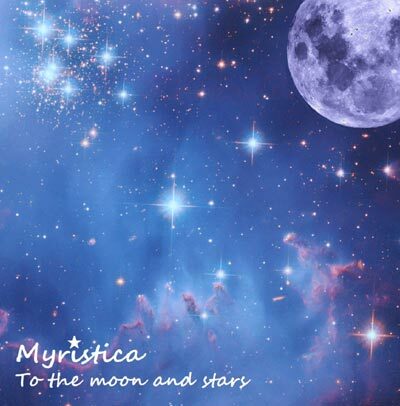 Myristica brings you 'To the moon and stars', her follow up album to 'Sea of dreams'. This lightly orchestrated and beautifully enchanting new album includes ten magical instrumental piano melodies, wistful waltzes and lullabies, layered with luscious pads, guitar, strings, harp and oboe. Grab a hot chocolate, wrap yourself up in this cosy musical blanket and gaze at the stars.